If you buy something from a seller as a consumer, the seller is responsible for the item until it reaches you. Therefore if your item is lost or damaged before they get to you, the seller must rectify the problem or have taken out insurance to cover the risk of damage or loss. Contact the seller and explain the situation. If the item has been damaged, take photographs of the packaging and the damaged item to show the trader. Although this isn’t entirely necessary, it may help to resolve the issue. If as a private individual you send something to a business or another private individual in the UK, you will probably use the postal service (Royal Mail). But did you know, if a letter is lost in the post, you may still have the right to a refund for postage, even if you don’t have proof of postage? There are three instances, which are if the item is delayed, damaged (whether or not part of the contents are missing or lost. In order to be entitled to a refund there is a claims process, which starts with filling out a Royal Mail P58 form. If a lost or damaged item has monetary value you must provide evidence of the value of the item and proof of postage. With this proof you will have the right to a refund for the cost of the postage, plus compensation which will amount to the lower amount of each of the following: the value of the item or 100 x 1st class stamps. If an item is lost or damaged and does not have a monetary value, you are entitled to at least 6 first class stamps. 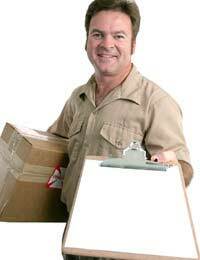 Special Delivery guarantees next day delivery, either before 9am or 1pm. If your item is not delivered during this time, you are entitled to a refund of the postage cost. There are, however, some exceptions to this: if no one was available to accept the item; if the recipient is using a redirection service; or if the item is within a part of the UK which is not covered by the guarantee. If a Special Delivery item is damaged, lost or delayed you can claim compensation up to £50 (depending on the value of the item). If the item is late, you should claim within 14 days of posting the item. However, as long as you include a receipt for the item, loss or damage claims can be made up to twelve months after posting, and if you have purchased additional insurance, up to the value of £2,500. Special Delivery is often used when time is of the essence. If an item is delayed beyond the time which it is needed (e.g. concert tickets, legal documents) you can purchase additional ‘Consequential Loss’ cover for extra protection in the event that there is a problem. Recorded Signed For does not have the same guarantee as Special Delivery and is accordingly not as expensive, although items sent using this method are insured up to a value of £36 in the event of loss or damage. In order to make a claim for a lost or damaged item, you must keep proof of postage and a receipt to show the value of the item. If the item is damaged, it is important to keep the packaging to verify the damage. You must make the claim within 30 days of the date the item was sent. Often, if a damaged item is of value a Parcelforce claims representative will need to examine the damage and may make an appointment to visit you for this purpose. If you are unhappy with the outcome of your claim, you can appeal. Under the Supply of Goods and Services Act a courier (or other tradesman) has a ‘duty of care’ to look after your item while it is in their possession. If the item is lost, you should make a claim against them for loss and any appropriate compensation. The claims procedure will depend on the particular courier company, but if in doubt you should check whether they are adequately insured before you hire them to deliver your item. The person who hired the courier is responsible for this, and not the recipient of the damaged item. It is more complicated to make a claim when you have received an item from an international origin. Whether or not you can make a claim for lost or damaged items depends on the country from which it is sent and whether the sender took out insurance for the item. Royal Mail will not be responsible for items that were not packaged using one of their retail services. If in doubt, check!